Coloring is a fun and cathartic activity. Adult coloring books are all the rage right now but kids have been loving the fun forever. A new coloring book and a fresh box of crayons light up a child’s face like Christmas Day. Instead of rushing out to buy a fresh one, here is a tutorial to make your own coloring book. This is perfect for a birthday gift or as a “just because” surprise for your kids (or your friends). Use your book to measure the cover paper by tracing around it with a pencil. If your paper has a “right-side” up, make sure your book is aligned accordingly when measuring. Cut out the traced cover. Place a strip of double-sided tape on the left edge of the cut out paper. Attach the cover paper to the front of your booklet by aligning the tape with the bound edge and pressing it firmly. Pull back the paper as pictured above. Keep it out of your way by placing a pair of scissors on the edge. Next, place more double-sided tape on the cover of the book. The best way to do this for maximum secureness is to cover the edges with strips of tape and create an “x” with tape in the center. Carefully smooth the cover paper over the tape. Next, measure the paper for your back cover on your second sheet of 12×12 paper. Again, do this by placing your book on it and tracing with your pencil. Cut out your back cover. Again, place tape on the side of the cover paper. This time, place it on the right side. Attach the cover to the back of the book. Pull back the paper as before. Place your tape on the back cover of the book a you did in step 6 above. Again, carefully smooth paper back over the cover. On one of your cut pieces of 12×12 paper scraps, measure a pocket for the inside cover of your book. See the picture above for reference. Cut out the paper for the pocket. Next, place double-sides tape on the sides and bottom of the paper. Attach the paper pocket to the inside of the front cover of your book. Stamp the front of each blank page in your book. These can be themed to fit the recipient’s tastes. They can also be as easy or as intricate as you would like. The stamps you choose and the patterns you create with them will determine this. Add some stickers to the pocket in the front. You can play up this coloring book in so many different ways. It’s awesome! You can even create more adult coloring books by creating intricate stampscapes or complex patterns. 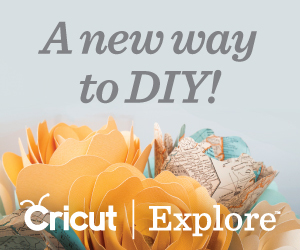 If you are feeling extra ambitious and creative, you can skip the scrapbook paper altogether. Instead, illustrate a custom cover with your own original design. 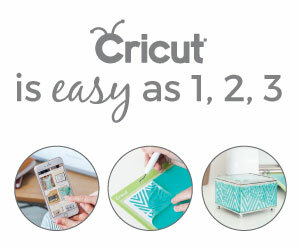 Check out the other sweet papercrafts to keep the stamping fun going.